CJ Cron: The projected starter this season is the new signing to the team, CJ Cron (1 Yr $4.8 MM). Last season Cron only played 58 games in the field because of rookie Jake Bauers but Cron is a fine defender and should hold first base down nicely. The Twins signed him for his bat and for good reason. Cron hit .253 with 28 doubles and 30 home runs. This offensive power will be a jolt to the first base position after Mauer wasn’t exactly known for long balls in his final years. After the Logan Morrison disaster last season, Twins fans should be cautious but Cron is an ideal fit for a Twins team that should be looking at a run for the playoffs. The slugger is projected for another solid year at .257 with a .795 OPS with 24 HR and 70 RBI. Tyler Austin: After being acquired by the Twins in the Lance Lynn trade, Tyler Austin played in 35 games, hitting .236 with a OPS of .782 along with 9 HR and 24 RBI. It seemed to be a strong showing for the potential Twins power hitter but the front office went out and singed Cron anyway. Why isn’t Tyler Austin being given a better look? With him being out of minor league options it seems unlikely now that he even makes the roster. Well let’s check out his stats. To start, he had a 38.9%strikeout rate which is just not good enough to start on a major league team. (That was the best of his career.) Austin’s OBP was only .283 last year and for a Twins team extremely lacking in OBP this probably won’t work out. He is also 27 so development time is certainly dwindling fast and he cannot be sent to the minors without clearing waivers first. Austin is projected a .236 AVG, 16 HR and 49 RBI along with a K% of 34.4%. 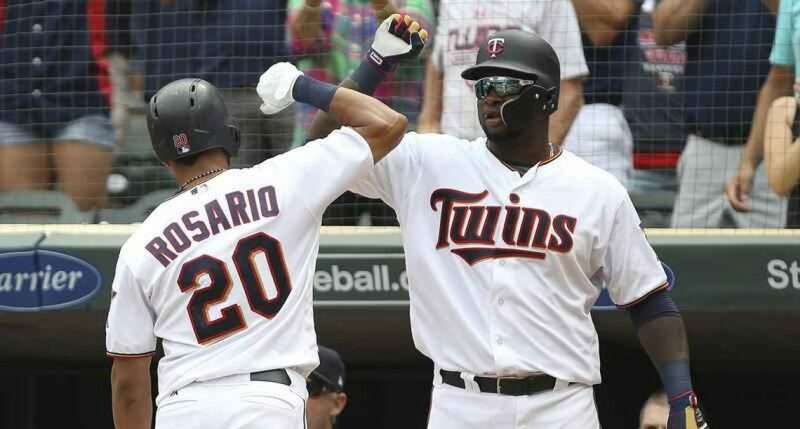 I would take Cron over Austin any day and so will the Twins. Other options: Sano, Kepler and Brent Rooker (Twins 2017 first round pick) are all options the Twins could look at in case of an injury suffered to Cron. Sano has played 22 games at first base with a solid .976 FLD% so if Cron ever goes down he would get a lot of looks at first base. The second option, Max Kepler has only ever played 3 games at first but has the makeup to be solid there. He has been linked there previously because of the rise of Alex Kiriloff and the twins needing room for Kepler when he arrives. The final option is someone not everyone has heard of but his name is Brent Rooker. Rooker played 58 games at first base in his minor league career with a solid .986 fielding percentage. He is rising through the minors and could get some looks by the end of the 2019 season depending on how it all plays out. Thank you for reading my 2nd position outlook of 2019 and be sure to go read my other articles and check back everyday at 12:30 P.M. Central. If you enjoyed please leave a like and share with your friends. If you have any feedback or other opinions feel free to let me know.